In the last week of September this year, just before I left for my business trip to the United Kingdom, my chopstick skills were put to the test yet again at the Chi Asian Cookhouse. 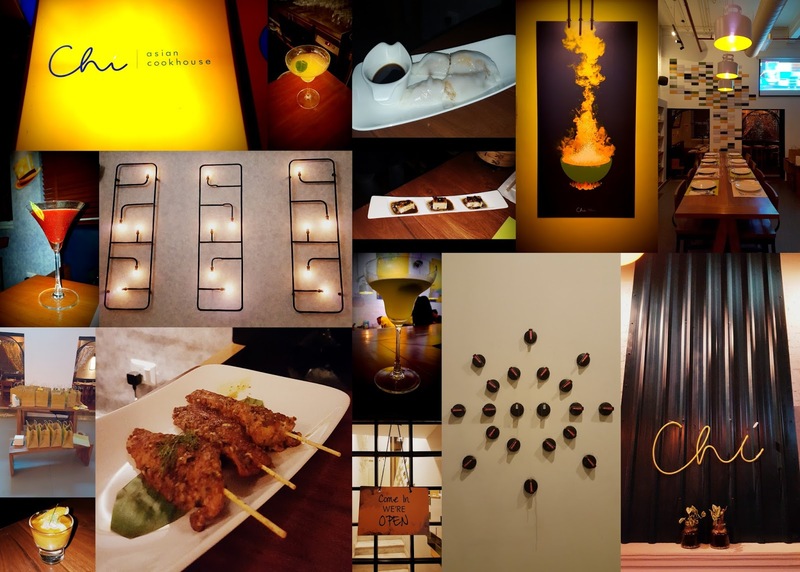 If you're a fan of delectable Pan Asian food, you have to visit this place! 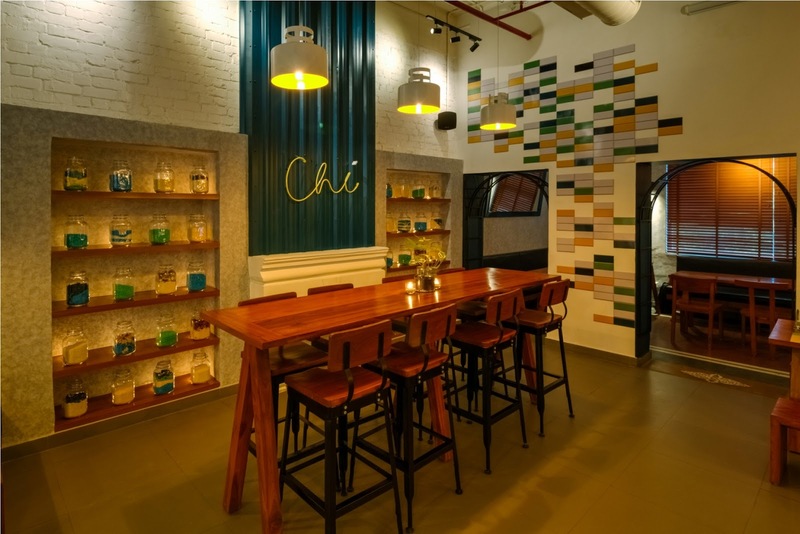 Situated in a quaint corner of Janpath, it is hard not to notice Chi. Inspired by the canteens in industrial units, Chi introduces a unique cookhouse with 'pro-community' dining concept. Great Pan Asian dishes in tune with the rapidly evolving culinary and cultural landscape of South East Asia - could you seriously ask for more! 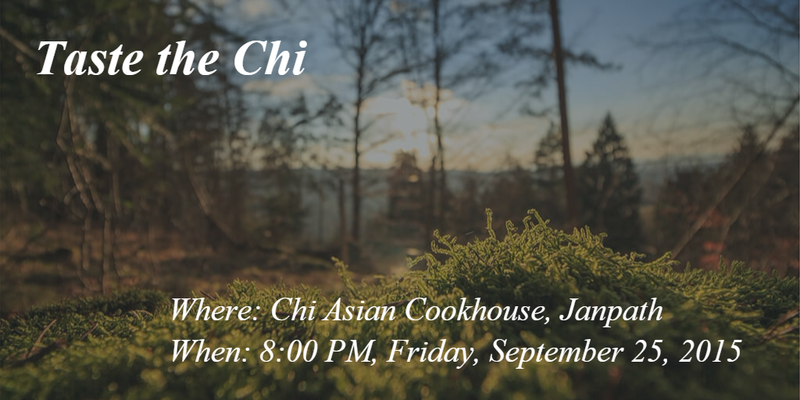 'Chi', in essence, means natural energy. The etymological explanation of the Chi logogram is 'steam rising from the rice as it cooks'. 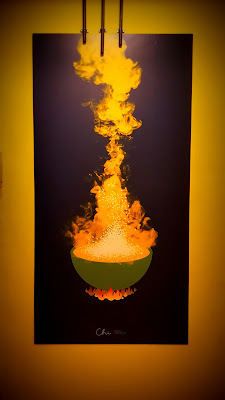 It is this steam that pervades across the newly opened restaurant spreading natural energy. 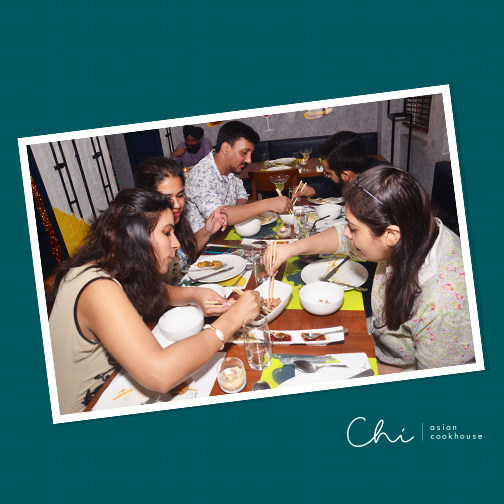 At the restaurant, we were welcomed by the wonderful staff from the Little Black Book (a. k. a. LBB), who had partnered with Chi Asian Cookhouse to give 20 patrons a truly 'Taste the Chi' experience. My personal favorite was the Chiang Mai Glass Noodle Soup. 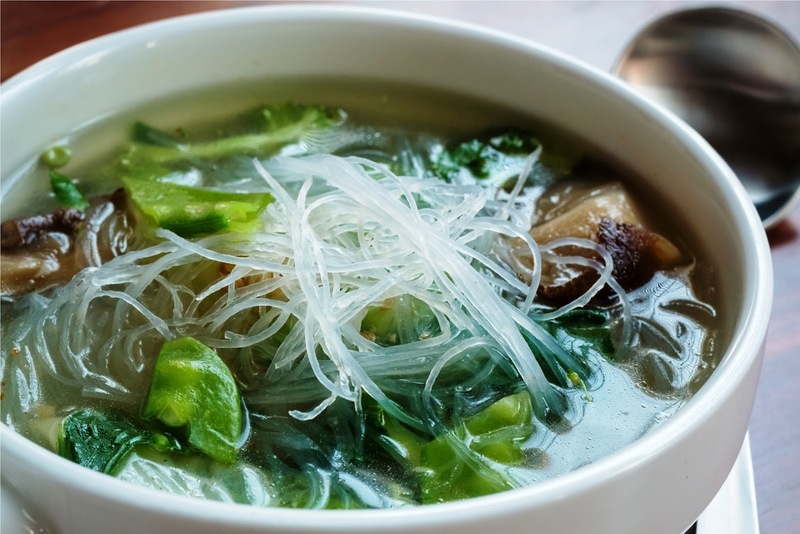 Even though both vegetarian and non-vegetarian variants are available, I personally recommend the former for its wholesome broth with glad noodles and fresh vegetables. Don't leave Chi without savoring the Ho Chi Minh Grilled Chicken Satay. Served with lemon leaf and chili, this one is an absolute must have. You could also try the Orange Teriyaki Mushroom which is button mushroom with leak. If you are fond of sea food, go for the Cha Ca Thang, which is a soft Vietnamese fish seasoned with turmeric and drill. Want to feel on cloud nine? Try these fresh rice pair rolls with relish of peanuts. 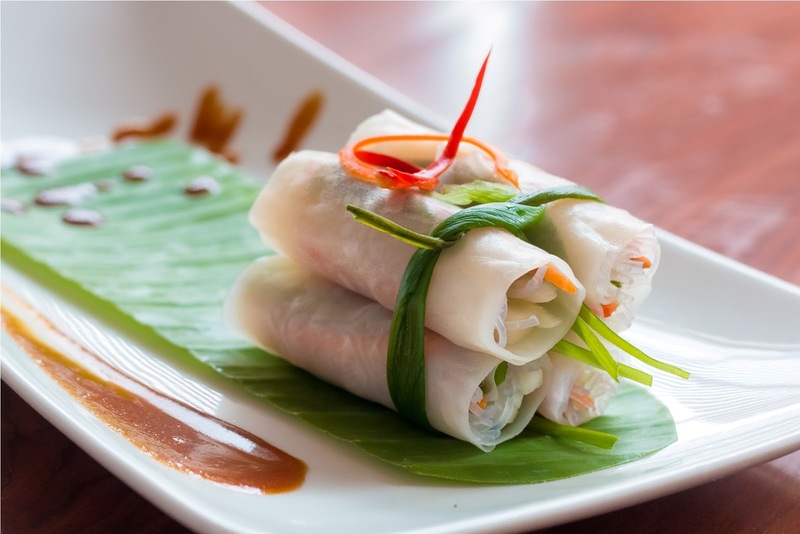 The prawn rolls (a. k. a. Goi Cuan Chay) is bound to win you over. Chi offers a wide array of dimsums to choose from. 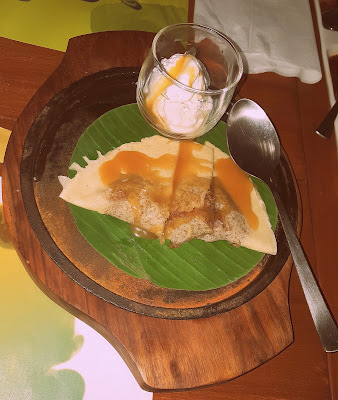 Like the Banana Leaf with Sticky Rice and Minced Chicken. Or the Fish with Thai Curry Paste. 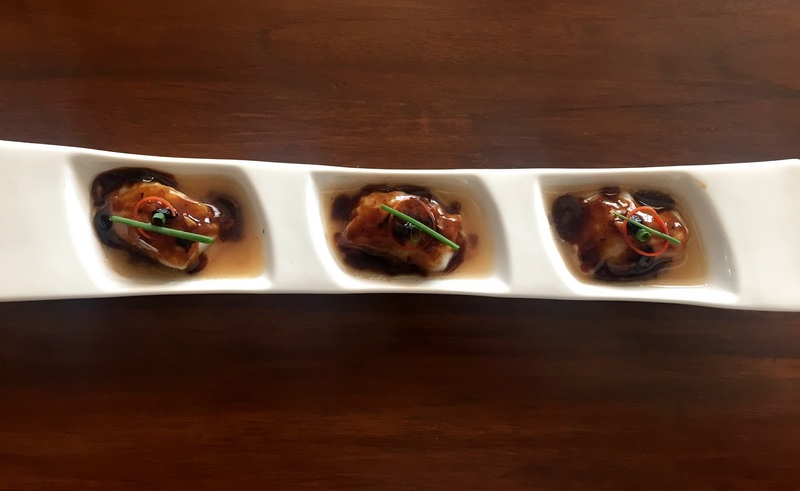 I would put my money on Tofu Tausi, a black bean delight for Tofu fans. You could also try Xiaolongbao, another name for soupy pork dumplings. Having lived in South Korea for seven years, I was ecstatic to find Kimchi Spiced Vegetables in the main course. Slow cooked vegetables and tofu fired up with our homemade kimchi. 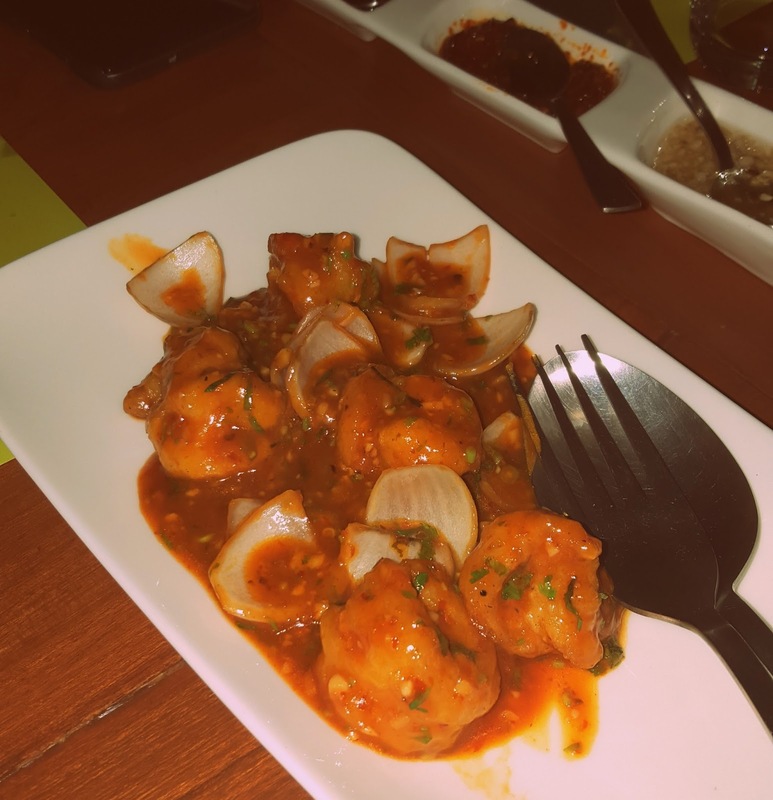 If spicy and tangy flavor is your thing, this is the dish you should be going after! Or you could also try the Cheating Chili Prawns tossed in Thai style tangy sauce. I was mesmerized by Musaman Curry, which is Persian influenced southern Thai curry flavored with spices and macerated in vinegar. Ikan Rica Rica, which is crispy Indonesian fish fillet served in delectable cashewnut and vinegar paste. 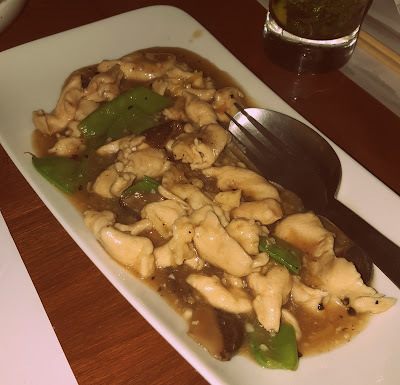 Jiao Chicken, which is a spectrum of flavors. Stir fried with shiitake and snow peas. If you're in the mood of some flavored rice, go for the Roast Gallic and Coriander. Aromatic rice with your choice of flavoring. 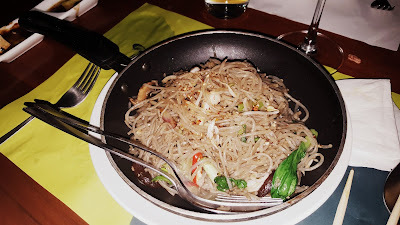 I ordered Japchae, which is gluten free Korean work tossed cellophane noodles with shiitake. Other choices would be Kimchi Fried Rice or Mandarin Noodles (chicken/prawn). The evening culminated with the amazing Coconut Pancake topped with orange drizzle and served with vanilla ice cream. 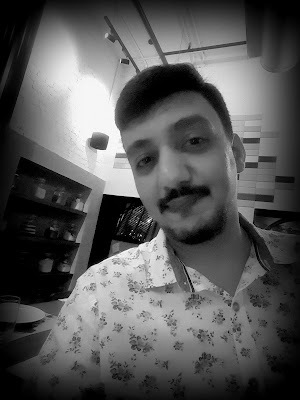 There is no greater joy than enjoying a good meal in a cheery ambiance with attentive service. 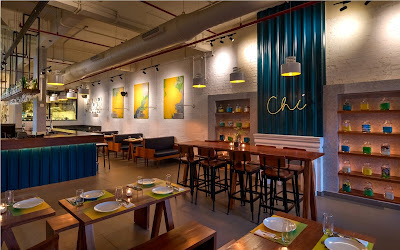 With its heart in the right place, the Chi Asian Cookhouse is truly on the road to becoming Delhi's most favorite haunt for Pan Asian cuisine. A reinvention of Delhi's leading Pan Asian brand Chi Kitchen and Bar, Chi Asian Cookhouse takes you to the next phase of this wonderful journey.